Why has Dr. Yuriy May | Natural Dentistry gained notoriety as the Top Cosmetic Dentist so quickly? 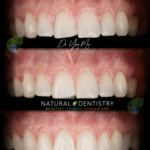 At Natural Dentistry, the entire orofacial and craniofacial philosophy is anchored on true biomimetic function and dental esthetics. 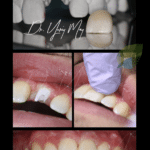 Dr. Yuriy May, the best dentist in CT for cosmetic dentistry, understands that in order for facial and individual beauty to be achieved, both cranial, facial, dental and oral concerns need to be evaluated, understood and ultimately addressed. 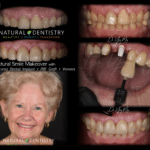 The challenge of combining the triad of phonetics, function, and esthetics has always been the primary restorative goal of exceptional dentists like Natural Dentistry’s Dr. May, however, it remains a rare concept among average dentists across the USA. As the access to information continues to increase, the cosmetic understanding and savviness of patients increases, creating unprecedented demand for highly specialized dentists like Dr. May to integrate the full spectrum of all esthetic dental aspects that can be improved for a particular patient. Watch how Dr. Yuriy May, top cosmetic dentist in the Tri-State area transforms the cosmetic dentistry patient with a natural smile makeover using 8 veneers. The video includes a peek into our digital dentistry workflow! 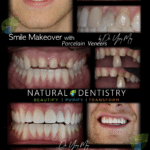 Average dentists will all tell you “I can do veneers” but a true smile makeover expert (and artisian!) like Dr. Yuriy May spends thousands of hours training with top cosmetic dentists all over the world like Dr. Spears and Dr. Rosenthal. 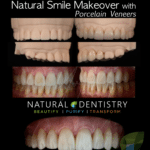 Among his award winning full mouth reconstruction cases, Dr. Yuriy May was notable voted Best Dentist in Connecticut in 2017 and the fastest growing premier cosmetic dentistry practice in Connecticut, in large part due to the exceptional master he has achieved in delivering beautiful full smile makeovers to patients all over the USA with top ceramist hand-made porcelain veneers in the industry. Did you know Dr. Yuriy May was awarded Best Dentist in Connecticut for having the most remarkable porcelain veneer smile enhancements, smile makeovers and the best dental implants in the USA. Why is Cosmetic Dentistry so popular now vs 25 years ago? Dentists: As more dentist recognize that Cosmetic Dentistry is a treasure to chase. It is no wonder that Americans spend over $27 billion of dollars annually to attempt to improve their looks. Cultural differences aside, there are certain components of what is considered an attractive face that seems to be universal. Of the $27 billion, $17 billion is spent on dentistry and improving the smile. Without question, there is an inherent dependency between the creation of both facial and dental esthetic components to create an individual’s unique beauty and appearance, with emphasis on the orofacial esthetic. Among many studied and published papers on the study of beauty, the definition of beauty is proven to be affected most by the dentofacial relationship to the patient’s overall appearance. Plainly stated, beauty cannot occur in the most gorgeous of human, without the proper optimal smile esthetics, while an individual with other suboptimal facial features can still be considered beautiful. The majority of the USA populace feels that a healthy, attractive smile is one of the most important social assets. A survey performed by the American Academy of Cosmetic Dentistry revealed that more than 87% of adults feel that an unattractive smile can impede career success. In addition, 92% of the respondents said that an attractive smile is an important social asset.2 In a population where 50% of individuals are unhappy with their smiles, addressing this concern is a matter of importance. Even young people of today have an opinion about what a nice smile demonstrates. Another Social Study: Teenage girls in the United Kingdom were asked to assess models in girl magazines. Models that appeared to be “cool” and “desirable” were deemed not to need orthodontic treatment.3 Although the dentist is the person that will deliver the restorative treatment, Dr. May firmly believes it is the responsibility of all health-care professionals who practice cosmetic procedures to recognize of craniofacial and dentofacial esthetics when rehabilitating, rejuvenating and enhancing an individual’s overall appearance. We form first impressions from faces despite warnings not to do so. Ecological theory intersects with evolutionary psychology theories(4) and it has much in common with a long line of research on nonverbal communication that is also concerned with reactions to facial cues (DePaulo & Friedman, 1998). It also complements contemporary models of face perception in the cognitive neuroscience literature. One is the dual process model that differentiates mechanisms for the perception of identity versus the perception of emotion and other changeable facial qualities(5) Ecological theory adds to these models by emphasizing that face perception guides behavior, expanding the domain of face perception to include perceived traits and social interaction opportunities, and predicting these perceptions from the overgeneralization of adaptive responses. No one should feel guilty. Generalizing, or “overgeneralization” across faces is just one instance of the broader cognitive mechanism of stimulus generalization that is essential for adaptive behavior (aka survival). The world would be quite overwhelming if we had no expectations about our social and non-social environment because we failed to generalize from known cases to similar unknown ones. Regardless of cultural or temporal differences, the face is ordinarily the first thing that people (Dr. May included) see when we come upon another person. We then use that experience to form our initial impression of the person. That very first critical impression, the visualization of an individual’s facial appearance, is the very focal point of an individual since it is usually the most exposed body part and our reptilian brains use the information of facial appearance to quickly formulate and extrapolate an opinion. In other words, 87% of the subjective interpretation of a person’s substance is generated from an instantaneous judgment from their face. For example, good-looking individuals are assumed to be more intelligent, have better personalities, and to be sexually warmer than those who are not. This phenomenon, although not universally accepted, is frequently referred to as the ‘halo effect.’ The opposite can also be experienced. The negative halo effect refers to an unfavorable impression that is attached to those less attractive. The 5th is positive emotions and bright, happy countenances, which Perrett believes complete the absolute conditions of beauty. In other words, the ideal cephalometric proportions and balance, rather than the golden ratio, may create individual beauty. (3) Gibson JJ. The ecological approach to visual perception. Boston: Houghton Mifflin; 1979.